Last year in Michigan, Henry MacDougall, 16, of Ludington had been “dabbing” marijuana and then crashed the car he was driving. He died instantly. 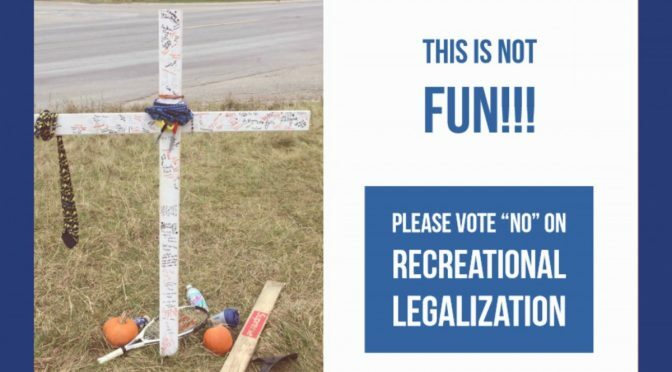 Henry’s dad Gordon Mac Dougall, as well as Detroit city leaders, urge voters to vote no on marijuana legalization in Michigan, where DUID traffic deaths related to marijuana are a problem. In July, 21- year-old Jacob Scot Damron drove high, killing newlyweds Hannah and Jacob Allbaugh. He a was arraigned Oct. 23 in Allegan County District Court on multiple felonies, including operating while intoxicated causing death and reckless driving causing death.